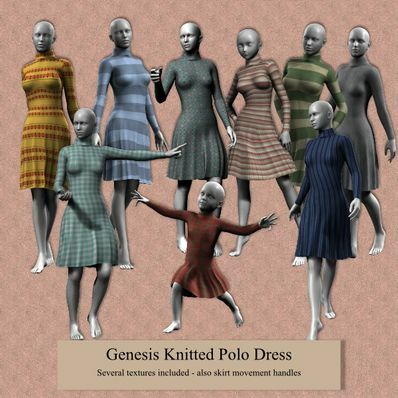 A Knitted Polo Dress for Genesis for use in Daz Studio 4. Several textures included. Movement handles for skirt included as well. Place the files in your "/Documents/DAZ 3D/Studio/My Library" folder. Just love it. Thanks again.